Happy Tuesday everyone.. 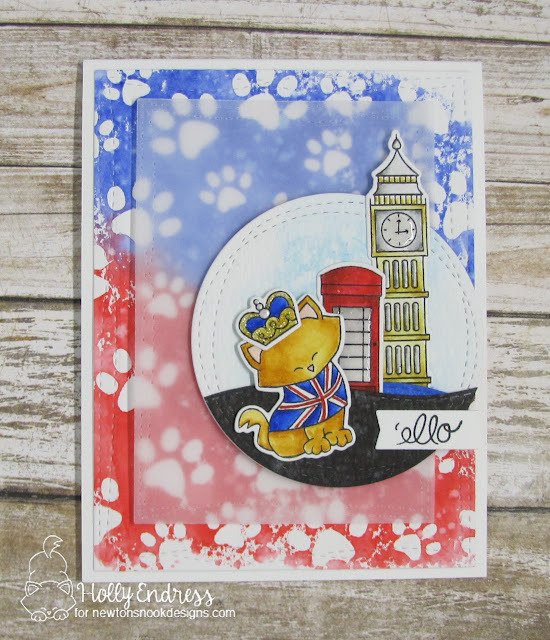 I'm up on the Newton's Nook blog today with a Fun card and video featuring the Newton Dreams of London set and coordinating dies. 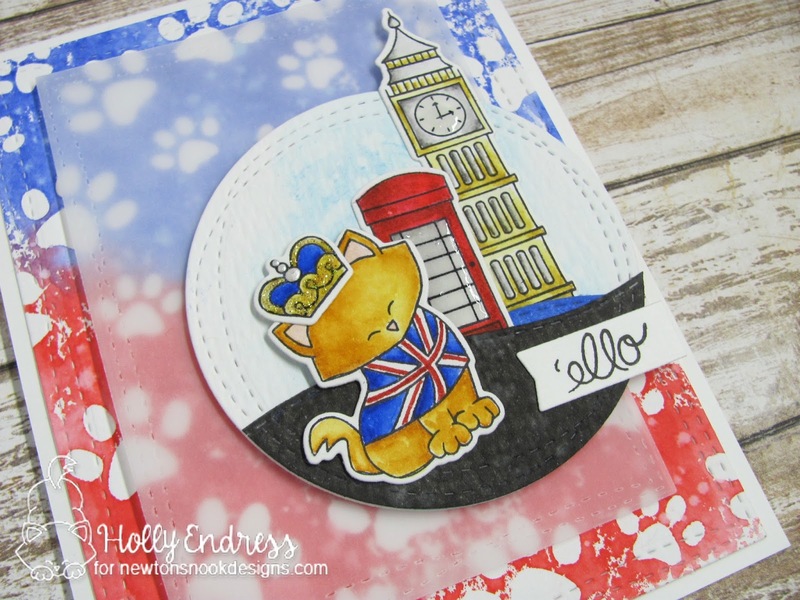 I started by creating a background with the Paw Prints stencil and come Candied Apple and Blueprint Sketch Distress Inks. Then I added a layer of Vellum to help separate the background so the images didn't get lost. I die cut a circle and added some Tumbled Glass Distress Ink and then I created a water and land border with the Land borders die and some Black Soot and Blue Print Sketch Distress inks. I stamped all the images onto Bristol paper and colored them in with Zig Clean Color Real Brush markers. 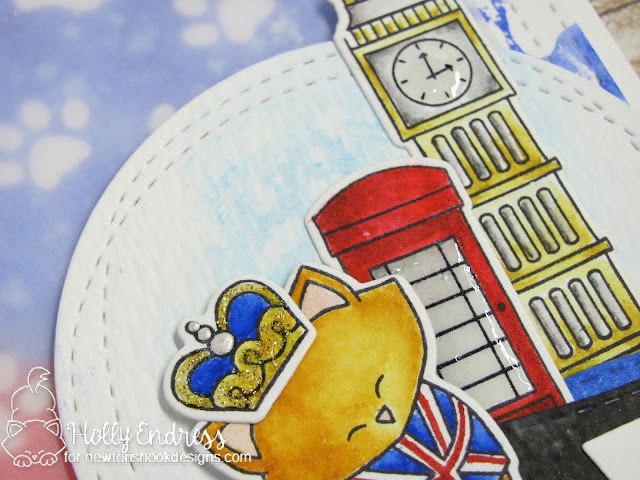 I used the coordinating dies to cut them out and I adhered them with Foam tape. I added some Fun Dimension to the images with some Nuvo Honey Gold Glitter drops and Liquid Pearls to the Crown. Then I added some Glossy accents to parts of the phone booth and Clock Tower images. Head over to the Newton's Nook blog for more Great Inspiration from the team! !